Taylor Swift is living her dream, but her way up the career ladder wasn’t always easy. Recently I stumbled upon this insightful interview with Taylor where she teams up with Apple Music and talks about her career goals, her current life and her aspirations. There are several reasons why I think you might be interested in watching this video: I never knew how hands on she’s always been about basically shaping her career to what genre she’s focussing on and what would be the next logic step to take at the different stages in her career. And you can say what you want about this girl, but in this interview it really becomes clear that she’s always wanted to have this career more than anyting and to me she deserves everything she’s worked for. Imagine that crazy life where you have to hide under a towel because you’re being chased by a helicopter with paparazzi’s who want to get a shot of you. Another interesting topic is where Taylor adresses her relationship with Apple and gets candid about her open letter that she published earlier this year. Last but not least it’s fascinating how aware she is about her public appearance and thinks about how it’s inevitable that people get sick of celebrities at some point. Are you team Taytay? What’s your opinion about Taylor Swift and her career choices? Sound off in the comments section and let me know! 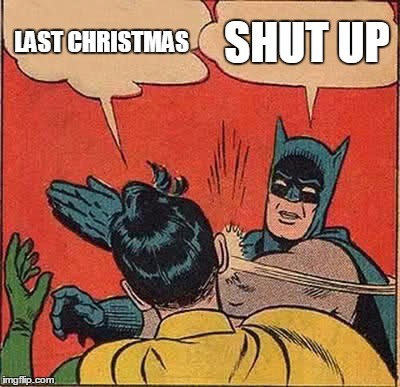 SICK AND TIRED OF THE SAME OLD CHRISTMAS SONGS? Let’s face it – by now you’re probably tired of the many popular Christmas songs like “Last Christmas” or “All I Want For Christmas”. So what can you do about it if you can’t hear those tunes anymore, but still want to enjoy the holiday spirit with your beloved ones? Well here’s a list of Christmas songs, that you’ve probably never heard before in your life. Click through the list, that is in no particular order and then you can decide if you want to mix this year’s Christmas up with some new tunes or rather just stick with the classics. Anyway, happy holidays!